ZenBio offers four research kits to test compounds for their potential use in cosmeceutical testing for antioxidant, cellulite, or wrinkle treatments. The cellulite and wrinkle assays allow scientists to target the subcutaneous fat layer to alter the outward appearance of skin. The antioxidant assays determine the total antioxidant activity of potential anti-aging treatments. ZenBio offers two research kits to test compounds for their potential use in as cellulite or wrinkle treatments. The assays allow scientists to target the subcutaneous fat layer to alter the outward appearance of skin. This kit provides a tool to study chemical compounds that may influence lipolysis in cultured human adipocytes. This kit specifically measures both the non-esterified fatty acids (free fatty acids) and the glycerol released by the breakdown of triglyceride. This kit is designed to test compounds as potential PPAR. agonists. It is our experience that the PPAR. 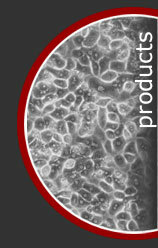 agonist used as the Positive Control sufficiently stimulates human adipocyte differentiation after 7 days of treatment.